Back in November, I wrote a blog post about German Chancellor Angela Merkel, in which it was noted that Merkel was taking a great deal of heat for claiming that Christians are the most persecuted group in the world. That is not a headline that sells in America, as many folks still love to decry the “moral majority” of America’s past. Nonetheless, time is proving Merkel right. Studies have shown that Christians are harassed more than any religion in the world. A new collaborative work by Paul Marshall, Lela Gilbert, and Nina Shea of the Hudson Institute covers the worldwide persecution of Christians in great detail. The Book, Persecuted: The Global Assault on Christians, is now in print. Christians are the most ill-treated religious minority in the world. Without a doubt, Merkel, Powers, Shea, Gilbert, and Marshall are all speaking truth. The question for each of us is whether we will speak up with them on behalf of our brothers and sisters. Will we do as the Lord commanded and “remember those who are ill-treated since we ourselves are in the body” (Hebrews 13:3)? Take a prayerful look at the article from Kirsten Powers; the book from Shea, Gilbert, and Marshall; and the teachings of the New Testament and decide if you need to become an advocate for the persecuted church. Are Christians Extinct in the Middle East? Violently (yet relatively quietly) Christians are dying out in Bible lands. In the place where Paul was converted and in the location of the church that first sent an offering to help needy Christians—in these ancient Bible lands, Christians are dying at an alarming rate. Actually, the more accurate way of saying it is that Christians are being exterminated throughout the lands of the Old and New Testament narratives. In Egypt, Iran, Iraq, Syria—and all over the Middle East, Christians are severely persecuted. Not too long ago, I posted about a controversy brewing in Germany with Chancellor Merkel. She made the claim that Christians were persecuted more severely than any other group. Now, a new study affirms the statement made by Chancellor Merkel. Christians are nearly gone in the Middle East. As Christians, we ought to pray much for Christians suffering persecution throughout the Middle East. We should also remember that persecution happens where Christ is present. He is present with His people in these oppressive places. The enemy senses a weakness in the body of Christ right now, so he is striking there particularly hard. There are many instances in Scripture (such as John 8) in which enemies wished to kill Jesus, but they could not. Even on the night of His arrest, enemies fell to the ground under the influence of Jesus’s divinity (John 18). 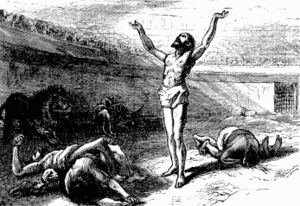 Yet, when Jesus was arrested and bound, the mocking, spitting, cursing, and ridiculing began. 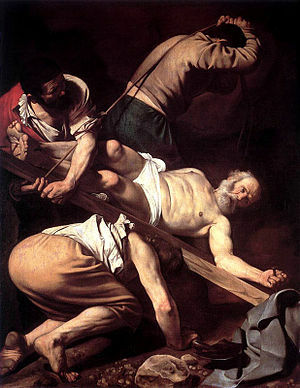 Jesus was not simply executed on a cross; he was tormented and persecuted all along the way. As then, so now, when the body of Christ is weak, the enemy will strike hard. Yet now, as then, the greatest redemption occurs after the worse persecution. Christ is present with His people in the Middle East (regardless of how few of them are left). If we were of a sound spiritual mind, we, too, would be present in Spirit with our body suffering in the Middle East. While praying for God to strengthen the saints suffering in terrible places, also pray for us to be awakened from our celebrity stupor of vanity Christianity so we might remember those who are ill-treated, since we ourselves are in the body. The targeted killing of Christians continues in Nigeria. As we have seen before, Boko Haram is well financed and likely well connected. They are continuing to carry out attacks on a routine basis. This past week, they attacked St. Rita Church in Kaduna state by driving an SUV loaded with explosives through a wall of the church and into the church building itself. In the past, the bombs were detonated outside the buildings in parking areas. This attack is an ominous indicator that these Jihadists are growing stronger, more sophisticated, and more diabolical. Christians are sheep in the midst of wolves in Nigeria. Of course, this has been a common theme of Christianity from its inception. Though Christians understand the cost of discipleship, we also understand the pain, the grief, and the fear which accompanies these targeted murders against friends and family. The Islamic world is immersed in an epidemic of persecution against Christians. Apologists for Islam and mind-numbed peaceniks will scoff and turn a dubious brow toward such bald statements as these; but the truth could not be more plain for the world to see. Muslims are persecuting Christians at an alarming rate around the world. Is America’s Largest Mosque Against Violence (or Free Speech)? Well it is good to hear the largest mosque in America speaking out against the violence Muslims are perpetrating around the globe. 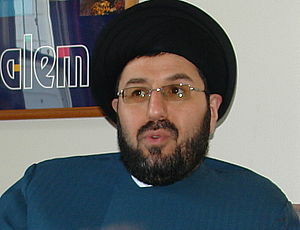 Al Qazwini, imam at the Dearborn mosque, has even stated that Muslims cannot tolerate killing. Yet, even with this ostensible condemnation of Muslim violence, Al Qazwini offers three very troubling remarks for those who care about freedom. First, this imam’s definition of “inciting to violence” displays vision that’s about as clear as, say, Mr. Magoo’s. After a quick condemnation of the violence in the Middle East, the imam pontificates about the urgent need for stringent action to stop those inciting violence. What the imam means is that there needs to be stronger action against people who make movies that criticize or insult Muhammad. In other words, there must be stronger action to shut down free speech if it happens to be speech against Islam. This imam has a fuzzy definition indeed. Whatever one wishes to say about the putrid nature of the film trailer, he must admit that it did not call anyone to violence against the U.S. embassies in Libya, Egypt, Yemen, and elsewhere. I don’t think it even called for violence against Islam. Since when did making fun of a religious leader equal inciting to violence? If that were the case, the Monty Python group would have been drawn and quartered years ago. Second, the only call to action we get from Imam Al Qazwini is a call to shut the movie-makers down. Indeed, he offers two reasons these movie-makers ought to be silenced. The first reason to silence them is for the supposed safety of American diplomats abroad (like Chris Stevens, the ambassador killed in Libya). This is an odd concern. From whom do these ambassadors need protection, the movie-makers? No. They need protection from violent Muslims. Muslims—not movies—are the problem that must be addressed. The second reason Al Qazwini gives for silencing the movie-makers is that they “have blood on their hands.” This charge is unconscionable to me. It asserts that the people who made a movie mocking Islam are guilty of murdering the U.S. Ambassador to Libya. Nonsense. More and more, the evidence is making plain that the attacks in the Middle East were not spontaneous and had little, if anything, to do with the movie. Even if the movie were involved, the movie is not an act of war like the attacks on a U.S. Embassy are acts of war. The violence here is 100% on the side of the Muslims and must be completely condemned as such, with no admixture of excuse. When Imam Al Qazwini calls for action against movie-makers and says something must be done against them, he is showing his real concern is not Muslim murderers but movie makers. Actions speak more loudly than words. If Islam is a religion of peace, then Muslim leaders must condemn violence outright, without hesitation and without any hint of excuse. I am not making these remarks out of so-called “Islamaphobia” or hate; I am offering an honest critique which explains (reasonably) why many people struggle to believe Islam is a religion of peace. And, even more importantly, I am offering glimpses into the future (or lack thereof) of free speech for Americans—especially for Christian Americans, who cannot afford to be silent. Your comments and questions are always welcomed. After a missions meeting this morning, I am heading out to the KY State Fair with the family. However, even as we enjoy seeing jugglers and giant pumpkins, our brothers and sisters around the world are facing harsh conditions. 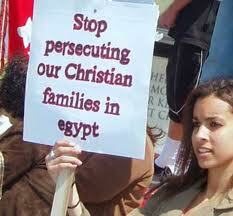 As I have written about before, the so-called Arab Spring is actually a winter disaster for Christians in Egypt. I just read this story which tells of those opposing the Muslim Brotherhood being crucified naked on a tree. Obviously, that is the most heinous way to die. But might it not also be symbolic of someone else’s death? And did that Man not bring about redemption when he was hanged naked on the tree? The question was asked by Dennis Prager with reverent concern for the health of American Christianity. His article (read it here) asks why Christians are not more vocal about the plight of their brothers and sisters in the Middle East. I wish I knew the answer. The cynic in me wants to respond hastily with severe condemnation: Christians don’t help because they don’t care about anything beyond their own personal peace and affluence (to borrow a phrase from Francis Schaeffer). Christians are more intent on tapping into some secret prayer of power and clout which guarantees them money and fun than they are intent on understanding the global body of Christ. Cynicism–though sometimes true–is almost always too simplistic and overly abrasive. While some Christians may not care, the truth is many Christians do not even know. When they find out, they respond with concern and generosity. Ignorance, I believe, is a bigger factor than unconcern. Yet, even ignorance can be malicious, as is indicated by Jesus’s teaching in Matthew 25. At the end of time when Christ returns, he will judge all men, putting the sheep on his right and the goats on his left. 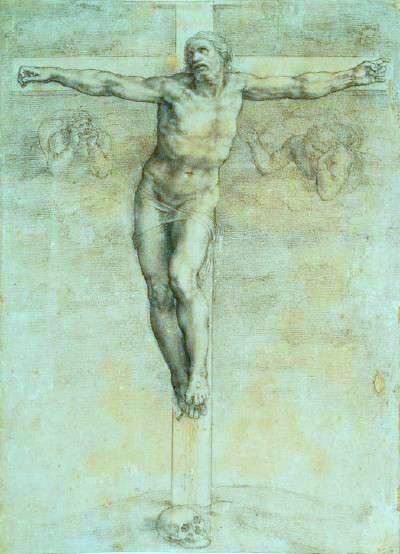 To this judgment, men will cry, “When did we see you hungry, or thirsty, or a stranger, or naked, or sick, or in prison, and did not take care of you?” Obviously, they are ignorant of having neglected Jesus, but Jesus does not excuse their ignorance; instead, he assigns them to a place of eternal punishment. Ignorance is no excuse. In the Muslim world, Christians are being murdered, churches are being torched, entire ancient Christian communities — the Iraqi and Palestinian, for example — are disappearing. And, again, 2 billion Christians react with silence. There are some Christian groups active on behalf of persecuted Christians around the world. They do important work, and are often the primary source of information on persecuted Christians. But they would be the first to acknowledge that the Christian world is overwhelmingly silent when it comes to the persecution of Christians in the Muslim world. Christians are not doing enough for other Christians. Why are Christians silent? Again, I don’t know. 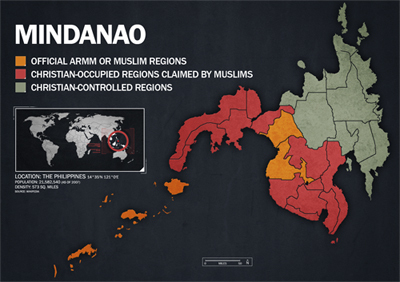 I am thinking about this and other questions as I embark on a three-week adventure that will take me close (but not into) Muslim dominated areas, where Christians are facing persecution (see map above). I want to understand why American Christians are concerned for the environment, the White House, and the latest book by the nearest evangelical heretic, but we remain largely unaffected by the body of Christ still suffering. “Remember the [persecuted Christian] prisoners, as though in prison with them, and those who are ill-treated, since you yourselves are in the body” (Hebrews 13:3). throughout the portrait we call spring. It is springtime. But in Kentucky, spring has brought violent storms, tornadoes, and rain. Lots of rain. Historic deluges of rain rarely seen in these parts since the days of Noah. 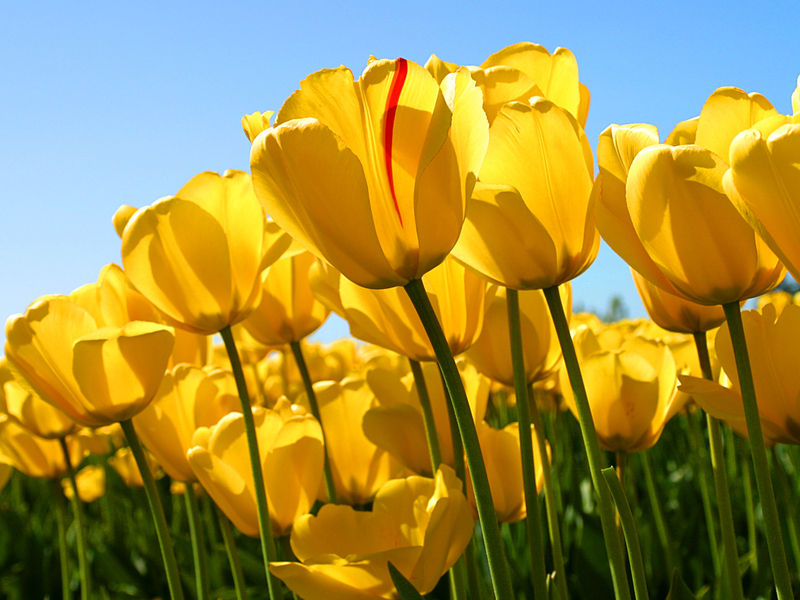 Spring is supposed to be colorful and sunny, but it has proved, instead, to be dull and rainy. Such is the way this spring has gone in Kentucky. But we have no reason to complain. As bad as the weather has been around here lately, the problems we have are nothing compared to those of Christians suffering through the so-called “Arab spring.” If we think the storm clouds are hanging low over our horizon right now, we ought to think about what is happening to our brothers and sisters throughout Arab lands. In Egypt, where many in America were celebrating the rise of “democracy” and demanding that Mubarak resign, Christians now face a bleak future indeed. The Muslim Brotherhood is wielding political clout like a Saif al Din, seeking to enforce Shariah law on all Egyptians, including Christians. If you want to know how destructive Shariah law is for non-Muslims, read this Andrew McCarthy piece. The “progress” of the Islamic direction of the “New Egypt” has Christians begging to leave Egypt, even though there were Christian churches in the country before Islam ever existed. One Coptic Christian leader says that he is already receiving hundreds of calls each week from Christians trying to flee from Egypt. Egypt isn’t alone. In Iraq, the Sacred Heart Catholic Church in Baghdad was bombed on Easter Sunday. In India, more than 15,000 Christians took to the streets of Mumbai on Good Friday to protest the continuing persecution of the saints in India. Christians in Orissa, Karnataka, Maharashtra, and other provinces have endured hundreds of violent attacks since 2008. For a rundown of the persecution of Christians in Palestine and the Middle East, see here. There is no shortage of persecution for Christians around the world this spring. Even as the rain continues to fall in Kentucky, we should recall that the real storm is falling on our fellow believers in Muslim areas of the world. The “Arab Spring” which was supposed to bring greater freedoms through the spread of democracy is turning out to be more of a Kentucky spring, where one violent storm is followed by another. Concerning Said Musa, there are reports that American pressure is working. All the tweets and prayers are having an effect. Denny Burk, once again, has done a great job of getting out the information. His post today details the signs of hope for Said. So, we should keep the pressure on as much as possible. I have linked here an article which has several links at the bottom of the page which will take you directly to the people and agencies you need to contact. I have learned more about Said, and I have to say his faith is strong indeed. He has received help from no one. He has been assigned 2 lawyers, neither of whom has ever helped him. Indeed, the judge prohibited the first lawyer from helping him. The second lawyer showed no desire to help him. And to make matters worse, during Friday prayers, the mullahs have been broadcasting the message that anyone who defends an infidel is also an infidel. That message appears to be resonating with defense lawyers. Not only did judges and lawyers abandon him, but, apparently, even the International Red Cross disposed of this innocent man. He worked with the Red Cross for 15 years, helping to fit people with prosthetic limbs. Mussa himself has an artificial leg, and, so, he has been able to help many others adjust to living with an artificial limb. According to this story (which is now 2 months old), the Red Cross refused to help their former employee on the grounds that he was arrested for religious reasons—never mind the fact that their professional pledge is to help whoever has need. Still, as I said, Said’s faith is strong. He first heard of Christ in a crisis situation. During an earlier Afghanistan war, he watched his neighbor’s house destroyed by a bomb. His neighbor had 8 children. According to the story, the bomb leveled the house, killing 7 of the 10 family members. The one thing which impacted Said more than seeing the house bombed however was watching a group of fearless ladies run into the bombed house and begin digging, trying to help anyone who may have lived through the horror. Though there was continuing gunfire, the women did not waiver from offering their lives in aid. Said was impressed. As you have probably read, Said Musa is scheduled to be executed within the next three days. It has been encouraging to see so many people waking up the horrific realities of Christian persecution, especially as it exists in Muslim countries. The Christian Post points out that Christian leaders from Rick Warren to rap artist Shai Linne have been tweeting and re-tweeting the case of Said Musa, a Christian scheduled for execution in Afghanistan because he chose to follow Christ. It seems as though my friend Denny Burk started the snowball that is now rolling downhill to stop this execution when he urged followers to contact President Barack Obama. As Paul Marshall points out, President Obama has certainly weighed in on matters much less important in the past, including his official statement of condemnation against a fringe, Florida pastor who merely threatened to burn a Quran. Surely, the President has an opportunity to stand up for freedom and human dignity, particularly given the fact that Afghanistan professes to be a democratic government and the further fact that the U.S. military and U.S. tax dollars are flowing freely throughout Afghanistan to support this government. Indeed, the involvement of our money and military in Afghanistan has led many to sound the alarms against our helping this country if they are going to use our aid for the unjust executions of non-Islamic peoples. Mark Krikorian, himself a descendant of Christian refugees from the Middle East, calls attention to our spending billions in Afghanistan to supporting this government which is about to execute a Christian unjustly. Krikorian quotes the Afghanistan Chief of Staff, who says of Christians like Said Musa, “They must be sentenced to death to serve as a lesson for others.” So, in the name of teaching people an Islamic lesson, Said Musa must die? And what is this valuable life lesson? Apparently, the lesson is “Don’t even think about freedom of religion.” Said Musa’s crime was apparently his decision to follow Christ instead of Muhammad. According to the International Covenant on Civil and Political Rights—a document which Afghanistan signed and ratified—citizens of the country are supposed to have freedom of religion and the right to a fair trial. Musa got neither. Instead of freedom of religion, Said Musa is sentenced to be hanged for the crime of getting baptized. From the standpoint of the International Covenant, Afghanistan is violating its own stated commitments to human freedom. By my count (at least ostensibly), Musa’s case violates Article 6, Article 7, Article 9, Article 10, Article 12, Article 14, and, especially, Article 18 of their covenant agreement with the nations of the world. So, why is it that now—when democracy is on the march in the Middle East—this government would pursue such a hypocritical and barbaric course of action against an innocent Christian? One need look no further than to their neighbors to the south to answer the question. Government leaders in Afghanistan don’t want to face the charge of hypocrisy; they don’t want to be seen as barbaric by the outside world. But they also don’t want to die. About a month ago, a governor in neighboring Pakistan made a statement to the effect that he believed executing converts from Islam to Christianity was inappropriate. The governor’s bodyguard shot and killed him. The execution, though an awful blow to democratic ideals in this volatile region, was probably not enough to dissuade leaders from speaking publicly against executing Christians. Yet, what followed has surely had a chilling effect. According to this news report, about 50,000—yes, 50,000—people took to the streets to celebrate the man who murdered his boss. They protested loudly against any changes to the current laws against blasphemy in Pakistan. One would have to be a fool not to notice the signal this sends to leaders of Muslims in this area. For us, another life lesson is made clear: Not all protesters are seeking democracy. Understand the pressure that has been put upon the government of Afghanistan. Surely, they need our prayers, too. They feel the heat of an Islamic furor that longs for its satisfaction in the execution of Christians and any others who refuse to submit to Allah. In some ways, I think these leaders are less callous about life than Secretary Clinton and President Obama must be. President Obama risks nothing by taking a stand for Said Musa. His life is not in danger, but his voice might just save Said. The government leaders in Afghanistan, on the other hand, are probably risking their lives by considering a cancellation of the scheduled execution. The seriousness of the situation will make clear what each government thinks of the value of human life and human freedom. Jesus’s teaching becomes soberly clear in a situation like this: “Do not fear those who kill the body but are unable to kill the soul; but rather fear Him who is able to destroy both body and soul in Hell.” For Said Musa, the fears are real. But so is his faith. He says of his present situation, “My body is theirs to do what they want with. Only God can decide if my spirit goes to hell.” Whether he lives or dies, Musa surely does not appear headed for the coward’s end (Revelation 21:8). Faith is giving him clear sight. If you would like to remember this brother in prison, as though in prison with him, since you yourself are in the body of Christ (Hebrews 13:3), then you will want to pray for Said Musa, that his faith would not fail, that he would not shrink back, and that we would not be silent. Then, you may want to speak. I have different contact pages below. In speaking about the Democrat Party, Gov. Mitch Daniels in his recent speech to CPAC said, “Our opponents are better at nastiness than we will ever be. It comes naturally. Power to them is everything, so there’s nothing they won’t say to get it.” Believe it or not, he is speaking of something fundamental to the Democrat Party—not the nastiness. I don’t mean here either to slander the Democrat Party or exalt the Republican. I hope only to explain the difference between the two parties and, in so doing, demonstrate how the two approaches are being played out in the Middle East. In other words, I want us to understand better the political movements in America and Egypt. History is offering us a teachable moment through current affairs in Egypt. Many Republicans share Gov. Daniels’ disdain for democrats, while many democrats, likewise, despise the republican tendency to resist change and to “impose” values on others. While nastiness is not endemic to either party, the other factors—a thirst for power by democrats and an imposition of values by republicans—are quite natural to the respective political parties. Here is what I mean. By nature, democrats support democracy, meaning democrats believe in a majority rule. What has to happen for the democrats to rule, then, is for the democrats to be the majority. Thus, they naturally are quite interested in public opinion. They will gravitate toward offices and institutions (media, academia) which shape public opinion because public opinion determines the rule of law in a democracy. Republicans, on the other hand, hold primarily to the principle of the rule of law, a principle which says that certain things are never right regardless of what 51% of the people say. Republicans, typically, are more conservative, in the sense that they are quite interested in preserving (or conserving) traditional beliefs and instruments which have been effective in the past. By nature, conservatives aren’t as adept at stirring up the masses like democrats because they aren’t of the opinion that their causes are right or wrong based on the percentages of people who agree with them. They don’t need majority support, they have the constitution. I understand that I am oversimplifying and painting with very broad strokes in these descriptions of democrats and republicans. Yet, at root, these are valid distinctions. They are important distinctions. The case of the revolution in Egypt brings out these distinctions clearly. The New York Times has an article posted concerning George W. Bush’s role in stirring up democracy in the Middle East. Yes, even the New York Times is able to see that President Bush—against public opinion—was right to assert that democracy would catch on in the Middle East. The left has wrongly distilled President Bush’s emphasis on democracy into emphasis on elections, or on movements free of American influence. Bush rejected both those concepts. For Bush, like Churchill, democracy was a means to enable freedom; the ballot box was not the silver bullet. So, President Bush advocated for an American democracy, a democratic republic in which a mere majority rule is not enough for a stable government. There are checks and balances, even for the 51% majority, and that is a very good thing. As we know, there was once a 51% majority who thought slavery was acceptable, and there was once a 51% majority who cried, “Crucify him! Crucify him.” Both were wrong. Even the majority is wrong on occasion. Inalienable rights (such as the right to life, liberty, and the pursuit of happiness) must be protected by law despite public opinion. This reality brings us to the present state of Egypt. Both democrats and republicans have applauded the freedom march of street protestors in Egypt. Yet, both appear concerned about which direction the future march will take. Democrats tend to lean toward accepting whatever government arises out of Egypt as a legitimate government because it is a government of the people. (I know this is oversimplifying again, but leaders in President Obama’s administration have already made statements justifying the Muslim Brotherhood as legitimate governing partners). Republicans are sounding the alarms about the Muslim Brotherhood’s role in Egyptian governance. The issue in Egypt (as in Iraq) is not whether 51% approve; it is whether there is a legitimate democracy. Already, in the New York Times article mentioned above, you can see the disdain which some democrats have for placing “caveats” on democracies. In other words, the democrat tendency is to accept majority rule, while republicans insist on basic principles of human rights to be enshrined in a constitution which does not rely on a might-makes-right, majority mentality. Egypt’s future on (a) whether it will be a democracy and (b) exactly what kind of democracy might emerge is still an open question. As an American—and especially as a Christian—I am quite concerned about what will happen next. Even though there is a democracy in Iraq, for example, there is a terrible oppression of Christians there. This post by Rich Lowry explains how, for Christians in Iraq, the democracy there has been a disaster. Something President Bush should not applaud (at least not completely). According to Lowry, an Iraq-type democracy in Egypt would mean “Lights Out” for Christians in the Middle East. In one sense, his comments hit the mark precisely. Democracy alone is not enough to preserve liberty. Yet, in another sense, let’s hope that he is wrong. There was once a Friday afternoon in which everything turned dark indeed for Christians from the sixth hour to the ninth hour, but three days later, there was a victory over every enemy known to man. The light shone more brightly from that day forward. Sometimes, it seems, there may be darkness just before the dawn. Let’s hope a new day is dawning indeed in Egypt and the Middle East. Middle East Moving to Democracy? This interesting blog post makes an assertion that uprisings in the Middle East are actually connected to a desire for liberty throughout the Arab world. And what is the engine beneath these longings for democracy? It may be the results of the war in Iraq. Indeed, Victor Davis Hanson notes that Iraq is the only stable country in the region.